“Do not be afraid,…He is not here, for He has risen!” Happy Easter! GSYG will be hosting our annual Easter Egg Hunt after 11:15am Mass on Easter Sunday, April 21st. Our High School Baccalaureate Mass will be May 19th, to recognize all graduating seniors from our parish family. If you have a graduating senior that would like to participate please contact the parish office or Jesi Hillard, by Monday, May 13th to make arrangements. 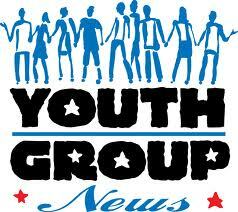 Please check out the Youth Group website for other articles and events.